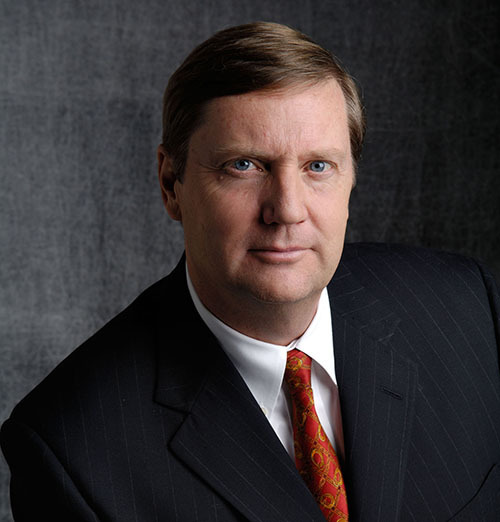 President's Blog - Do Advisor Certifications Matter? The financial advisory industry is awash with titles, certifications and undefined terminology. Advisors work diligently and study long hours to earn certifications to prove their knowledge and worth as financial and investment experts, but do those certifications, registrations and titles mean anything to the people who matter most to you – your clients? It is narcissistic to think investors who are not in the field of investment advice know or understand the meaning of the certifications you have earned. You can achieve the most respected title in the industry, perhaps become a Chartered Financial Analyst, and the wealthy computer programmer you are trying to attract as a client is likely not going to know how hard you worked to achieve that title. He or she is not likely to understand that a CFA is better than a CFP (Certified Financial Planner) or a CWMS (Certified Wealth Management Specialist) or an ABC (the first three letters of the alphabet). Our recent research has been dedicated to understanding investor perceptions of industry titles and terminology. Our extensive study Defining Wealth Management asks investors what the term “wealth management” means versus “financial planning” versus “investment management” and finds that there is absolute confusion over the industry nomenclature. That makes sense since none of those terms are clearly defined within the industry. We also asked investors about the certifications advisors work so hard to acquire. In many ways, the results of that survey matched the results of the Defining Wealth Management study; investors have varied understanding and opinions about certifications as well. Operating from a list of the six most widely acquired and accepted certifications, we asked investors which ones they were aware of. As expected, 60 percent of the almost 700 investors said they were aware of a Certified Public Accountant (CPA) and a Certified Financial Planner CFP), while 33 percent knew of the Chartered Financial Analyst (CFA). 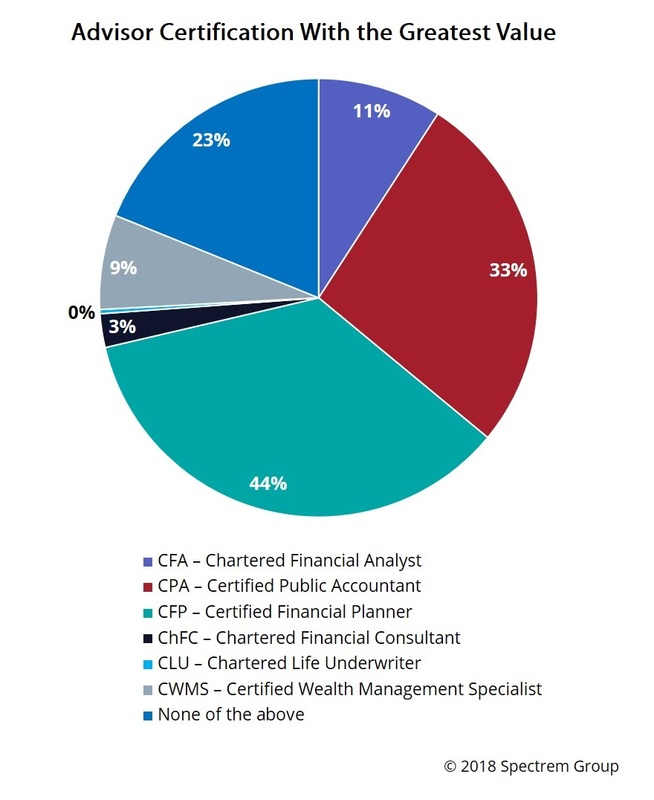 Only 19 percent knew of a Chartered Life Underwriter (CLU), 13 percent were aware of a Chartered Financial Consultant (ChFC) and 12 percent knew of the haughty-sounding Certified Wealth Management Specialist (CWMS). Considering the result of our study on wealth management and the unusual amount of respect that term receives, it might be surprising there is not more appreciation and awareness of the CWMS. And, by the way, 23 percent of investors, almost one quarter, had no awareness of any of those certifications. Which of these certifications matter the most? The investors were asked to pick the one that has the greatest value to them, and 44 percent selected the CFP. Another third selected a CPA, which by design and definition does not give investment advice. There was 11 percent that believed the CFA to be the best certification, and 9 percent chose the CWMS. Certifications matter to financial providers looking for knowledgeable advisors to deliver solid investment results for their clients. They matter at crunch time, when an investor has a specific investment or financial need or situation that educated advisors can handle better than those who have not done the proper preparation and earned the industry certifications. But there are many investors for whom certifications are meaningless, the type of person who does not know the difference between an orthodontist and a periodontist, and doesn’t care. They just want someone who can correct their overbite. Investors want a knowledgeable and properly instructed financial advisor who can serve their purposes. Certifications do not prove that. Investors are more likely to look to performance and communication habits before they look at certifications.